Create WordPress website 2018 step by step video, from scratch for beginners? With HTTPS, SEO optimization, rich design? Is this tutorial for me? Yes! you will be able to follow this tutorial on how to build WordPress website from scratch. You can follow this tutorial as well if you want to create a blog together with your business site. Before we are going further on this how to create WordPress website 2018 post, this whole tutorial is for self-hosted WordPress (WordPress.org) users, not WordPress.com users. 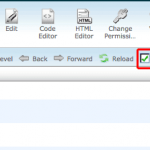 Furthermore, we use Siteground in this tutorial. If you think you are not ready to build WordPress website online, you can install WP on your localhost. Check this tutorial for Windows, and this for Mac users. I will also point out webmasters common practices you should know from the beginning. I have a goal that you won’t repeat my mistake when I was new to WordPress.org as well. Check out my About Me page. And this will save you a lot of money and time by hiring WordPress website developers. In the end, you will have knowledge that you may need to maintain and troubleshoot should you have any problems with your web page. The whole process will cost you under 200 USD, and you will pay thousands if you hire a developer to build an exact website. 1. Why SiteGround? SiteGround has the most affordable and reliable managed WP hosting plan I could find. I am using them as well, and I totally recommend them. SG includes a server custom Cache system so you don’t need to install any cache plugins, and it offers a single click free SSL certificate to have an HTTPS website. We can implement this HTTPS very easily as shown in the video. 2. Why with HTTPS?. Google mentioned on their blog post, having a website with HTTPS can be one of their signal ranking. To have a “secure” badge also adds confidence for your visitors exploring your website, and giving out their information like an email address. 3. Can we switch to HTTPS later on? Yes, of course, but it is best to start it from the beginning so you won’t have other problems like redirections, and backlink problems once you migrate your site to HTTPS version. LESS HEADACHE! 4. Why using a premium theme? Genesis theme is the best of the professional WordPress themes that are available for now. They have been around for decades, I have been using this WP template for years as well. They are, not surprisingly, still is at the top of the list. And from my experience, you will eventually want to have a premium theme, so I’d get it from the start as well. The theme I am using in the video is well coded, SEO optimized and very widely used by most webmasters out there, even Google’s engineer. Sticky header menu on mobile view – VERY rare theme! 5. Why manual install method? This manual install is famous as a 5-Minutes installation process. If you want to maintain and have the basic understanding of how WordPress files structure is, that may help you to troubleshoot your WP problems in the future, then this is the suggested method from the beginning. 1. Switching to HTTPS right away. 2. Internal SEO optimization for our pages. 9. External SEO first step – Submitting your site to Search Engines complete steps. Show Me How To Create WordPress Website 2018 version? 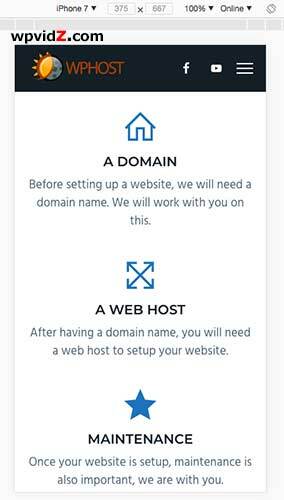 Before we create WordPress website on self-hosted version (wordpress.org) you will need a domain that will be your website’s address. For example, this site’s domain is wpvidZ.com. So Register your domain to your preferred domain registrar. You can do research about it. But I use Namecheap.com for a long time, and VERY happy with them. 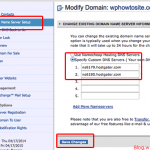 Watch this video or read this blog post if you use HostGator. In my “how to create WordPress website 2018” tutorial video, there are some steps that you can optionally follow, and are beginners-friendly steps. These are the code snippets you can add, I have sorted them out. Click “view raw” in the right corner of code block below to open the text file, and copy the code. Please change the URL and edit them accordingly to your need. If you follow step by step in the video on how to create WordPress website 2018 tutorial above, you will be able to set up a website with your own domain that is registered separately from your web host. It will give you benefit if you plan to have your website or brand for a long term. I’ve posted numerous WordPress tips for beginners that will still work until today, and some of them are updated posts. Check out my plugins tips and security tutorials page. Hope this video on how to create WordPress website can help you.